Having an entire event at sea might not be practical, but a boat ride or a series of brief pleasure cruises on a yacht are a great way to break up the day and add a touch of excitement to proceedings. Docklands is, as the name suggests, home to many of Melbourne’s finest ocean vessels. 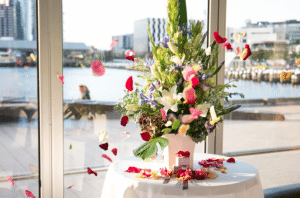 With marinas on both sides of Victoria Harbour, Harbour Kitchen is ideally placed for anyone thinking of adding a nautical touch to their big day. You can pull up at our doorstep and carry on the party looking out to sea. 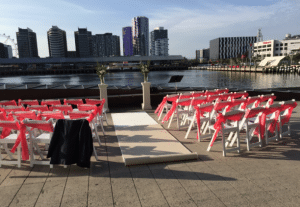 There are several reasons why you might want to hire a boat apart of your celebration. If there is ever a day to make a grand entrance, it is your wedding day. Arriving at your reception on board a yacht is certainly one way to rejoin your guests in style. You might even want to keep your mode of transport a surprise to your guests. 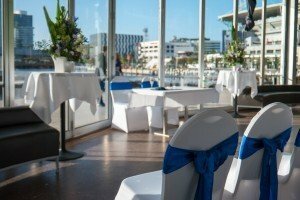 They can enjoy drinks and canapés at your function venue while they watch the boats at sea. Everyone will enjoy the moment that they realise just who the special cargo is. 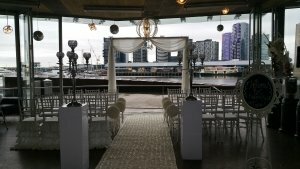 Combining the deep blue ocean with Melbourne’s premier function venue is one of the more unique ways to say ‘I do’. 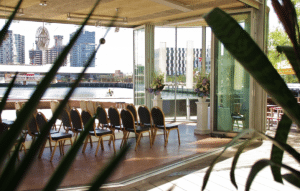 We’ve got the function venue part covered. You just need to find the boat!